One of the energetic and progressive business men of Cedar Rapids is R. D. Taylor, who is now so efficiently serving as secretary of the Fraternal Bankers Reserve Society. He is a native of Mantorville, Minnesota, his natal day being September 9, 1868. His father, Robert Taylor, is an attorney of Kasson, Minnesota, who in early manhood married Miss Pamelia Lord, a native of Pennsylvania, who became the mother of our subject. The preliminary education of R. D. Taylor was acquired in the public schools and later he entered Carleton College at Northfield, Minnesota, from which he was graduated in 1893. Previous to taking up his college work, however, he had engaged in teaching school for a time and after his graduation resumed that profession, following it for seven years thereafter. In 1900 he began preparation for the legal profession by entering the law school of the University of Minnesota at Minneapolis and on the completion of the course was admitted to the bar. For five years he engaged in practice in Minnesota and at the end of that period came to Cedar Rapids to accept his present position as secretary of the Fraternal Bankers’ Reserve Society. This society was organized in 1901 by some of the leading citizens of Cedar Rapids, it being a fraternal benefit association operating on the lodge system, and now has a membership of seven thousand, the local lodge in Cedar Rapids having six hundred members. It is largely through his untiring efforts that the society has attained to its present prosperous condition, for he is a man of keen insight, progressive and energetic, who usually carries to successful completion whatever he undertakes. Religiously he is an earnest member of the First Presbyterian church. Mr. Taylor was married on the 26th of June, 1895, to Miss Alfaretta Jenkins, a daughter of Rev. 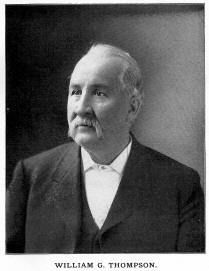 W. M. Jenkins, a Congregational minister of Cannon Falls, Minnesota. They now have three children, namely: Robert Harmon, in his fourteenth year; Lawrence L., ten years of age; and Eleanor, three years old. During their residence in Cedar Rapids the family has become widely and favorably known. Source: History of Linn County Iowa From Its Earliest Settlement to the Present Time, Vol. II, Chicago, The pioneer Publishing Company, 1911, page 336-7. Theophilus Thomas, a prominent and prosperous agriculturist of Fairfax township, is the owner of an excellent farm of two hundred acres on section 12. His birth occurred in Cambria county, Pennsylvania, on the 15th of November, 1856, his parents being Thomas R. and Marguerite (Evans) Thomas, the former a native of Pennsylvania and the latter of Wales. Thomas R. Thomas, whose natal year was 1818, was actively identified with general agricultural pursuits in the Keystone state for many years. On coming to Iowa he resumed farming and was successfully engaged in the work of the fields until called to his final rest in September, 1880. His wife, who bore the maiden name of Marguerite Evans and whom he wedded in Cambria county, Pennsylvania, was born in 1826 and was a maiden of sixteen when she accompanied her parents on their emigration to the United States. She departed this life May 11, 1910. Mr. Thomas of this review was one of a family of nine children, the others being as follows: George W., who wedded Alice Shaw and now conducts a general mercantile establishment at Hollidaysburg, Pennsylvania; Edward, who married Miss Hannah Ellis and follows farming in Johnson county; John, who wedded Samantha Ream and is a carpenter residing in Fairbury, Jefferson county, Nebraska; Howard, who was killed at the age of twenty-five years while acting as engineer on the Pennsylvania Central Railroad, leaving a wife, Frances (Brown) Thomas, and three children, Ross, Clinton and Alice; Elizabeth, the wife of Spencer Pate, who is a farmer by occupation; Robert L., an agriculturist of Johnson county, Iowa; Alexander, who wedded Miss Bertha Byron and follows the carpenter’s trade in Perry, Iowa; and William, likewise a carpenter by trade, who lives at home. Theophilus Thomas obtained his early education in a little log schoolhouse in his native county and when not busy with his text-books assisted his father in the work of the home farm, thus early becoming familiar with the duties and labors that fall to the lot of the agriculturist. In the spring of 1878,when a young man of twenty-two years, he removed with his parents to Johnson county, Iowa, there remaining for one year. He then took up his abode in Gage county, Nebraska, but after working by the month for about a year he returned to Johnson county, this state, his father having died during his absence. The operation of the home farm then claimed his attention for a period of three years, at the end of which time he bought a tract of forty acres for himself, but two years later sold the property to his mother. Subsequently he rented a farm from Mr. Swisher for two years and then once more removed to Nebraska, there working by the month for one year. On the expiration of that period Mr. Thomas again took up his abode in Johnson county, Iowa, but twelve months later came to Linn county and located on the property which he now occupies, first working by the month for two years and also drilling wells for a year. He was here married in 1890 and four years later rented a farm. In 1893 he bought a tract of eighty acres and in 1895 purchased the old homestead of one hundred and twenty acres, so that his landholdings now comprise two hundred acres on section 12, Fairfax township. In addition to raising the cereals best adapted to soil and climate Mr. Thomas also conducts a dairy and in both branches of his business is meeting with gratifying success. The prosperity which he now enjoys is directly attributable to his own efforts, for he started out in life on his own account with a cash capital of but thirteen dollars. His farm is under a high state of cultivation and improvement. and he has long been numbered among the substantial and representative citizens of the community. On the 20th of November, 1890, Mr. Thomas was united in marriage to Miss Carrie M. Miller, a daughter of Aquillar and Temperance (Phillips) Miller, who were natives of York county, Pennsylvania, and Richland county, Ohio, respectively. The father was born January 22, 1827, his parents being Samuel and Elizabeth (Winter) Miller, both natives of York county, Pennsylvania. Mrs. Elizabeth (Winter) Miller lived to attain the ripe old age of ninety-two years, passing away on the 15th of March, 1892. Her family numbered seven children, five sons and two daughters. Aquillar Miller, the father of Mrs. Thomas, lived in Ohio for a short time after leaving the Keystone state but in the spring of 1851 settled in Fairfax township, Linn county, Iowa. lie acts as a deacon in the Christian church and now makes his home with our subject. The mother of Mrs. Thomas was a daughter of Thomas and Sarah (Hedriek) Phillips, who were farming people. Her natal day was November 29, 1825, and she passed away March 15, 1892. Unto Aquillar and Temperance (Phillips) Miller were born the following children: Sarah E., whose birth occurred July 4, 1850; Mary J., who was born April 25, 1852, and died December 6, 1890; Samantha A., who passed away on the 18th of September, 1858; Thomas M., whose birth occurred November 5, 1855, and who died January 5, 1869; Jacintha A., whose natal day was October 5, 1857, and who passed away February 27, 1865; Jason L. S., born January 25, 1859, who died September 10, 1859; William E., whose birth occurred August 5, 1860, and who follows the plumber’s trade in Seattle, Washington; Avery E., born December’ 21, 1863, who married Nellie L. Hill, a daughter of James Hill, of Cedar Rapids; and Carrie M., who first opened her eyes to the light of day on the 10th of October, 1867. Mr. and Mrs. Thomas have three children, namely: Ella M., whose birth occurred April 21, 1894; Glenn Harold, born May 6, 1896; and Elliott Aquillar, whose natal day was December 17, 1897. They have also reared and educated Lillie Stevenson, a daughter of Mrs. Thomas’ sister Jane. Mr. Thomas is a republican in his political views and has served for two terms as school director. Fraternally he is identified with the Royal Circle of Cedar Rapids and the Modern Brotherhood of America and formerly served as treasurer of the latter organization. He and his wife are devoted members of the Christian church, to which they contribute liberally of their time and means. Mr. Thomas has been deacon in the church for eight years. He is a man whom to know is to esteem and honor, his sterling qualities winning him the friendship and regard of a large circle of acquaintances. Source: History of Linn County Iowa From Its Earliest Settlement to the Present Time, Vol. II, Chicago, The pioneer Publishing Company, 1911, page 726-8. William G. Thomas, connected with railroad interests in the operative and administrative departments, being now chief clerk at large for the sixth district, was born in Andrew, Jackson county, Iowa, on the 20th of April, 1860. His father was Benjamin Franklin Thomas, who was born at Harbour Creek, Erie county, Pennsylvania, October 9, 1834. The grandfather, William Thomas, came to Iowa with his family in 1850, settling in Jackson county upon a farm near Andrew. Desiring an education which he believed would promote his usefulness and worth in the world, Benjamin F. Thomas early began work as a farm hand with the end of obtaining the means necessary to continue his education. At length he entered the State Normal at Andrew and subsequently engaged in teaching for a time, after which he began the study of law, devoting the remainder of his life to active practice. His preliminary reading was directed by the firm of Osgood & Streeter, prominent attorneys at Joliet, Illinois, with whom he remained for three years and was then admitted to the bar. Benjamin F. Thomas located for practice in Monticello, Minnesota, and it was during his practice there that he was married, on the 15th of July, 1859, to Miss Mary E. Gallow. The following year witnessed their removal to Andrew, Iowa, and through his remaining days Mr. Thomas continued an important factor in the development of Jackson county. He proved himself the friend of young men who studied law in his office and who gave to him their unqualified allegiance, respect and love. In the ‘80s he established his home at Maquoketa, where he lived up to the time of his death, his law practice being second to none in volume and importance. A contemporary biographer said of him that he “was a man of gentle nature and good heart, always ready to help a friend. Although a lawyer and in love with his profession, he did his best to discourage litigation and would even sacrifice a fee if he thought it best for the client whom he served. While a man of strong convictions, he never obtruded his opinions upon others, yet ever gave respectful attention when other men expressed their views. He sought to govern by persuasion and to lead by gentleness rather than power and by these methods often won his ends. For many years he was active in religious work and was superintendent of the Methodist Episcopal Sunday school until advanced age caused him to put aside that work. He enjoyed the respect of his neighbors and friends and throughout the community was known as a loving father, a faithful companion and a loyal citizen.” His family numbered five children: B. F., who is now postmaster at Omaha, Nebraska; William G.; Mrs. Charles Patterson, of Maquoketa; Charles M., an attorney of Maquoketa; and Mrs. Lucile Eyr. who is deceased. William G. Thomas, spending his youthful days in his parents’ home, devoted his time to the pleasures of youth and the acquirement of an education in the public schools, supplemented by study in Cornell College at Mount Vernon, Iowa. He began teaching in the district schools when eighteen years of age and devoted his time to that work through seven terms. In 1882 he attended college in Mount Vernon, after which he was employed in Dunn’s clothing store in Maquoketa for two years. On the 21st of September, 1885, he was appointed to a position in the railway mail service, running between Maquoketa and Davenport, and seven months later was transferred to the line running out of Chicago over the Chicago, Savannah & Cedar Rapids Railroad to Marion. He was upon this line until January 28, 1908, at which time he was appointed chief clerk at large of the sixth division, with headquarters at Cedar Rapids, having jurisdiction over Illinois, Iowa, Nebraska and Wyoming. Being a young man and with twentyfive years of actual experience in connection with the railway mail service we may look for further advancement along the lines of the position he has so faithfully filled for so many years. In 1897 Mr. Thomas was married to Miss Elenora N. Miller, of Olin, Iowa. In politics he is a republican and fraternally holds membership in Crescent Lodge, No. 25, F. & A. M., while in the Iowa Consistory he has attained the thirty-second degree of the Scottish Rite. He is also a prominent member of Star of the West Lodge, No. 1, Knights of Pythias, and was grand vice chancellor of the order in 1896. He is still very prominent in the state work of that organization. Holding membership in St. Paul’s Methodist Episcopal church, he is now serving on its official board and is chairman of the social department of the Wesleyan class, numbering one hundred and sixty-nine members. He takes active interest in church and fraternal work, those things which count for moral progress, for the establishment of high ideals of living and for larger enjoyment of social companionship among men. Source: History of Linn County Iowa From Its Earliest Settlement to the Present Time, Vol. II, Chicago, The pioneer Publishing Company, 1911, page 731-2. This highly esteemed citizen of Mt. Vernon is one of the adopted sons of America whose loyalty is above question, having bee[n] manifested by his valiant service in the Civil war. He was born in Cumberland county, England, March 13, 1839, and was two years old when brought to this country by his parents, John and Nancy (Beaty) Thompson, also natives of England. His father was the only member of the Thompson family to come to America. His mother’s youngest brother, Andrew Beaty, emigrated to the United States, and is represented on another page of this volume. John Thompson and his family located on a farm in Cortland county, New York, where he died March 23, 1847, his remains being interred in Truxton, that county. His wife died January 15, 1854, and was buried in Daysville, Illinois. In their family were five children, namely: Elizabeth, who married George Reed and died in Daysville, Illinois; Sarah, a resident of Mt. Vernon, Iowa; George, our subject; Hannah, wife of Samuel Gray, of Oakland, California; and Jane, wife of James Malarkey, of Oregon, Illinois. The subject of this sketch was reared in Cortland county, New York. Going to Illinois in the winter of 1852, he worked on the farm of J.W. Edmonds of Ogle county for a short time, and in 1854 and 1855 worked for that gentleman during the summer months, while he attended school in the winter. In 1856 he came to Mt. Vernon, Iowa, the trip being made by way of the Northwestern Railroad to Fulton, on the Mississippi river; from there to Rock Island, Illinois, by stage coach; by railroad to Iowa City; by stage to Cedar Rapids; by another stage to Marion; and on foot to Mt. Vernon. During the summer of that year he worked on the farm of Irvin Wilcox, and the following winter he attended school in Mt. Vernon for about six weeks. In the summer of 1857 he was employed on a farm in this county, but in the fall he returned to Illinois, and lived near Light House until the summer of 1859, when he commenced farming on the shares, operating the William Clemens farm in Ogle county, near Franklin Grove. In the fall of 1859 he went to Chariton county, Missouri, and engaged in cutting timber on “Old Jack Harris Island” in the Missouri river, three miles from Glasgow until the following March, when he went to work for Judge Salisbury, near Keatsville, that state. While there the town of Salisbury was laid out on the judge’s farm. Our subject continued there until May, 1861, when he came to Columbus Junction, Iowa. In August of that year Mr. Thompson enlisted in Company M, First Iowa Calvary under Captain William Ankney, of Clinton, and Colonel Fitz Henry Warren. He was mustered into the service at Davenport and then went to Burlington, where he joined his regiment, and then proceeded to St. Louis. While there he was taken ill and given a furlough, which he spent at home. In the summer of 1862 he rejoined his command at Butler, Bates county, Missouri, and participated in the following engagements: Prairie Grove, Dripping Springs, Van Buren, St. Francis River, Bayou Metre, Brownsville, Little Rock, Newtonia, Prairie D’Anne, Camden, Mars Creek, Price’s Raid, California, Moro River Bottom and others. On being mustered out of service in March, 1866, Mr. Thompson returned to Mt. Vernon, Iowa, and resumed farming. In the fall of 1867 he purchased a partially improved farm of seventy acres in Franklin township, which he placed under a high state of cultivation, and to which he added until he now has one hundred and seventeen acres. He continued to successfully engage in agricultural pursuits until November, 1893, when he bought a home in Mt. Vernon, and has since lived a retired life, enjoying the fruits of former toil. Mr. Thompson cast his first presidential vote for John C. Fremont, the Republican candidate, but is now a supporter of the Democracy. Fraternally, he is an honored member of W. C. Dimmitt Post, No. 400, G. A. R.; Mt. Vernon Lodge, No. 551, I. O. O. F.; and Mt. Vernon Lodge, No. 112, A. F. & A. M.
At Mt. Vernon, September 6, 1866, Mr. Thompson married Miss Adelia Willits, and to them were born four children, namely: Allison, born July 12, 1867, died September 30, 1883; John J., born February 27, 1870, is now traveling in the west; Horace G., born December 25, 1872, died February 17, 1887; and Grace E., born October 9, 1877, is now attending Cornell College. The mother of these children died October 4, 1889, and was buried in the Sumner district cemetery, two miles west of Mt. Vernon. In 1842 Mr. Willits married Miss Elizabeth E. Julian, whose family resided in the vicinity of Green’s Fork, Wayne county, Indiana. She was born in that county, July 15, 1819, and was a daughter of Isaac and Rebecca (Hoover) Julian, natives of North Carolina, and of Quaker descent. Her parents were married about 1809 and settled near Centerville, where six children were born to them—four sons and two daughters. In 1823 Mr. Julian located near what is now LaFayette, Indiana, where in a short time he died. The young mother at once returned to Wayne county, Indiana, and finally took up her residence on a small farm at Green’s Fork, where she reared her children. The first of the Julian family to come to America was Rene St. Julian, who emigrated from France. (The name was abbreviated and Anglicized prior to the American Revolution.) His nativity is accredited to the city of Paris. His parents died in his infancy or childhood. While but a youth he enlisted in the army and served in various foreign parts. In the wars of the English Revolution, 1688, he served for a time in the armories of James II, holding to the Roman Catholic faith. Later he, with many others, deserted to the standard of William III, under whom he served at the battle of Boyne, July 1, 1690, having become a Protestant and no doubt classed as a Huguenot. He continued in the service of King William and his successors during seventeen years. The precise date of his emigration to America has not been ascertained, but is was early in the eighteenth century, en route he stopped at the island of Bermuda, where he married a lady named Margaret Pallock. He was then forty years of age. He first settled on the coast of North Carolina, where he resided for some years and had two sons born to him, both of whom died early. Deeming the country unhealthy, he left it shortly afterward and settled on the western shore of Maryland, where he leased land for some years, when he purchased an estate in Maryland or Virginia. He had six sons, Stephen, George, John, Peter, Isaac and René. The particulars of his subsequent life do not appear to have been preserved, but his closing years are believed to have been passed at or near the site of the present city of Winchester, Virginia. His son also resided in that part of the state. History records the fact that one of his sons, Isaac Julian, a young married man, was residing in that vicinity in 1755. This fact is recorded in Irving’s Life of Washington, chapter 18, in connection with the mention of an Indian panic. Braddock’s defeat had occurred on the 9th of July, previous, and the people were panic-stricken. Isaac Julian was personally known to Colonel George Washington, aged thirty-four, who, after the defeat of Braddock, was made commander of the colonial troops stationed at Winchester, Virginia. Isaac Julian married Barbara White, daughter of D. Robert White, of Winchester, an emigrant from Scotland of a wealthy and noted family. Her mother was a daughter of another Scotch gentleman name Hoge. Barbara had two sisters, each of whom married a man named Morgan, and both had children taken captive by Indians. A daughter of one of them was released after a number of years, but a son, Ansiah Morgan, at about four years of age, was adopted into an Indian family and would not leave them. After he had grown to manhood he was taken in battle fighting against the whites and solicited to remain with his kindred but was beguiled by his Indian wife into a corral and made his escape down the river. The panic continuing and proving too well founded, Isaac Julian and all his brothers save Stephen, the oldest, fled the country. So great and imminent was the anticipated danger that Isaac Julian, who had a farm well stock, left all save his horses,—which he retained to aid his flight,—his farm, standing crops, sheep and other stock, his house and most of its contents and with his family sped night and day southward. They stopped in North Carolina, and he purchased a homestead of one thousand acres in Randolph county. The original deed, still in possession of the family, bears date 1762, but he became possessed of the property some years previous. There he lived and died, and his grave is still shown. The place, or part of it, still remains in possession of some of his descendants. The descendants of Stephen, the brother of Isaac Julian, who remained in Virginia, are to be found in Ohio and other portions of the central west. The other brothers are believed to have settled in the Carolinas and their descendants are scattered over the south and west. Isaac Julian (second) married Sarah Long, a native of Pennsylvania and a daughter of Tobias Long. Her grandfather, Edward Long, came to America with William Penn’s fleet. Isaac Julia (second) removed to Indiana territory, where he died July 17, 1831. He had six sons, Bohan, Tobias, Isaac, Jacob, René and Shubel, and six daughters, Zernah, Elizabeth, Sarah, Elinor, Barbara and Martha. The two last named were twins. All of the children save the two first named preceded their parents in removing northwest. Isaac Julian (third) located in what is now Wayne county, Indiana, in 1808, and the following year married Rebecca, daughter of Andrew Hoover, a leading member of the Society of Friends and also an emigrant from Randolph county, North Carolina. John Scott, the noted old-time English Quaker evangelist, had visited that part of North Carolina in 1786, in consequence of which a number of people, including representatives of the Hoover and Juilan families had become members of the society. The name Hoover was originally Huber, and the family, like the Julians, went by way of Maryland to North Carolina. Three brothers, Jonas, Andrew and Christian Huber, settled on Pike creek, Maryland. The family was of German descent, Andrew, of Pike creek, having left Germany when a boy. He found a wife in Pennsylvania in the person of Margaret Fants. He left eight sons and five daughters, all of whom had large families, while of course their descendants are very numerous. His son, Andrew Hoover, was born in Maryland, and removed to North Carolina about the time of the flight of the Julians from Virginia. He married Elizabeth Waymire, whose father, Rudolph Waymire, emigrated from Hanover, Germany, after he had several children. He had been a member of the famous foot guard regiment of Frederic the Great of Prussia, none of whom were less than seven feet in height. He left one son and seven daughters by his first wife and seven sons by a second marriage. Their descendants are mostly to be found in the United States. Andrew Hoover (second) had ten children, four sons and six daughters, as follows: David, Henry, Frederick, Andrew, Mary, Elizabeth, Susannah, Catherine, Rebecca and Sarah. Isaac Julian (third) and Rebecca, his wife, started in life in a region largely settled by North Carolinians and other emigrants from the south. The Hoovers and Julians were identified with the origin of Richmond, Indiana. Isaac Julian assisted in clearing the heavy forest from a portion of the site and taught the first school in the township, while David Hoover, a brother-in-law—later prominent in the public affairs of the country and state—surveyed the plat and gave the name to the future city. For a number of years the Quakers largely predominated in the place, which was known as the Quaker City of the West. During the war of 1812 Isaac Julian’s cabin was turned into a block house, where the neighbors came for safety from the savage Indians, allies of the British. In 1818, 1822 and 1823 he was a member of the Indiana legislature then assembled at Corydon. He died in 1823 on the bare plains in Tippecanoe county, Indiana. At the time of her father’s death Mrs. Willits was in her fifth year. She had four brothers and one sister, namely: John M. died at the age of twenty-three years. Jacob B., known as Judge Julian, was a noted lawyer. George W. studied law but drifted into politics during the anti-slavery agitation and was nominated for vice-president with John P. Hale, on the Free Soil ticket in 1852, and on that issue was sent to congress, where he served several terms, becoming noted as a leading statesman. Isaac N. also studied law but later entered the journalistic field, and lives at San Marcos, Texas; Sarah, who became Mrs. Jesse Holman, resides at Mt. Vernon. The others are deceased. Elizabeth E. Julian was twenty-two years of age when she gave her hand in marriage to Allison I. Willits, and after spending a year at the home of his parents, they came to Linn county, Iowa, in 1843, locating on a fine farm at Sugar Grove, Franklin township. Mr. Willits had come to this county three years previous, and had purchased the farm in partnership with a Mr. Abbey, and on his return bought the latter’s interest in the place. Here he and his wife lived in true pioneer style. Eighteen months after their arrival here a child was born to them but it died in infancy, and the second child only lived to be seventeen months old. Adelia now Mrs. Thompson, was the next in order of birth, and when she was three years old George J. Willits was born. From 1848 to 1852 the family resided in Mt. Vernon, where Mr. Willits conducted a store, and he also platted the town, in which he owned a large interest. About this time Rev. George B. Bowman first visited this section, and he and Mr. Willits became fast friends. The latter proposed that a school building be erected on the present site of Cornell College. His suggestion being approved, he and his wife subscribed the first five hundred dollars for the purpose. He lived to see the establishment of what is now one of the best colleges of the state. In 1855 he made a trip to Missouri and a year later moved his family to that state. There it was that he carried out his ideas of erecting a place of worship, that the common people could attend, but soon the country became more settled and he returned to Linn county, Iowa. Shortly afterward he was stricken down and passed away in 1858, in his forty-eighth year. He was a strong and earnest Christian, and was a man highly respected and esteemed by all who knew him. In 1859, Mrs. Willits married Andrew Beaty, of Linn county, and they resided on a farm in Franklin township until 1879, when they removed to Mt. Vernon, where she died in 1889, honored and loved by the entire community. Source: The Biographical Record of Linn County Iowa, Illustrated, Chicago: The S. J. Clarke Publishing Company, 1901, pages 183-8. At the age of sixteen years Malcolm M. Thompson entered upon active connection with mercantile interests and the wise utilization of his time and opportunities has advanced him to a position where he is recognized as one of the progressive merchants of Cedar Rapids, conducting a well appointed men’s furnishing goods establishment at No. 119 South Third street. He was born in Hemmingford, Quebec, September 13, 1875, and comes of Scotch-Irish ancestry. His father, John Thompson, engaged in various business pursuits during his lifetime but was most prominently identified with the grain and lumber trades. He died in January, 1895. His wife, who bore the maiden name of Catherine McFee, was a daughter of John McFee. Six children were born of this marriage: John Adam, engaged in the grain business in Minneapolis; William Charles, who conducts a banking business in St. Croix Falls, Wisconsin; Malcolm McFee, of this review; Albert Hugh, who is also engaged in the grain business Gordon Graham, at present an interne in Cook County Hospital, Chicago, Illinois; and Eliza, living at home. Malcolm M. Thompson pursued his education in the public schools, passing through consecutive grades to the high school, which he attended until sixteen years of age. He afterward worked for a year in a store owned by his uncle at St. Croix Falls, Wisconsin, and subsequently spent the succeeding year in college. He then returned to his uncle’s store and there remained for five or six years, receiving a thorough business training adequate to qualify him for life’s practical and responsible duties. In the fall of 1900 he arrived in Cedar Rapids and established his present business, opening a line of hats and men’s furnishing goods at No. 119 South Third street. This is one of the finest establishments of the kind in this city, catering to the best trade and carrying a large line of high class goods equal to those found in the larger cities. Here are shown the latest and most attractive styles and the establishment is thoroughly modern in every particular, while the business methods of the house are such as commend Mr. Thompson to the patronage of this city. Mr. Thompson has been a Mason for a number of years and is known as an exemplary representative of the craft. He has become a Knight Templar in the commandery, has attained the thirty-second degree in the consistory and is also a member of the Mystic Shrine. He has likewise belonged to the Elks Lodge for seven years and has held various offices in the Cedar Rapids organization. He also belongs to the Cedar Rapids Country Club, of which he is serving as a director, and is a member of the house committee. He is a very active member of the Commercial Club, thoroughly in sympathy with the purposes of that organization intended to exploit the advantages and promote the interests of Cedar Rapids. Fond of travel, he has visited many points of interest throughout the United States, Canada, and Mexico, enjoying no greater pleasure than when he is aboard a Pullman car with some particular point in view as his destination. He possesses an observing eye and retentive memory and is thus continuously broadening his knowledge of the world. Source: History of Linn County Iowa From Its Earliest Settlement to the Present Time, Vol. II, Chicago, The pioneer Publishing Company, 1911, page 26-7. In the last half century the lawyer has been a pre-eminent factor in all affairs of private concern and national importance. He has been depended upon to conserve the best and permanent interests of the whole people and is a recognized power in all the avenues of life. He stands as the protector of the rights and liberties of his fellow men and is the representative of a profession whose followers, if they would gain honor, fame and success, must be men of merit and ability. Such a one is Hon. 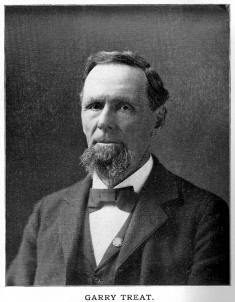 William G. Thompson, of Marion, who is now serving as judge of the eighteenth judicial district of Iowa. The Judge was born in Centre township, Butler county, Pennsylvania, January 17, 1830, and is a son of William H. and Jane (McCandless) Thompson, also natives of that locality, the former born about 1790, the latter about 1796. Our subject's paternal grandparents, John and Martha (Humes) Thompson, were natives of Perthshire, Scotland, as were also his maternal grandparents, John and Mary A. (Smythe) McCandless, who on coming to America located within two miles of where our subject's parents spent their entire lives. The grandfathers both bought land and made for themselves homes. In religious faith they were strong Presbyterians. John Thompson lived to be ninety-eight years of age, his death occurring in 1846. His land is now owned by the Judge's brother, Solomon R. The father, William H. Thompson, was a farmer by occupation. He, too, was a strict Presbyterian, and in politics was first a Whig and later a Republican. He died in 1865, his wife in 1866, honored and respected by all who knew them. In their family were three sons: John M. is a very prominent lawyer and is now at the head of the bar of Butler, Pennsylvania. He was a member of both the state legislature and congress, closing his term in the latter body March 4, 1880, on the day our subject took his seat there. The Judge is the next of the family. Solomon R. is engaged in farming in what is now Brady, but was formerly Centre township, Butler county, Pennsylvania. Judge Thompson's primary education was obtained in the common schools near his boyhood home, and when not in the school room he assisted in the work of the farm. Later he attended the Witherspoon Institute at Butler, Pennsylvania, going home to work during harvest. He next read law at that place with William Timblin and was admitted to the bar October 15, 1853, Hon. Daniel Agnew, afterward chief justice of the United States, presiding at the examination. On the 27th of November, 1853, Judge Thompson came to Marion, Iowa, traveling as far wet as his money would carry him. Marion at that time was a new town and larger than Cedar Rapids. Here he was first engaged in the practice of his profession in partnership with Colonel Isaac M. Preston, under the firm name of Preston & Thompson, this connection continuing until 1858, after which the Judge was alone in business. In August, 1854, he was elected prosecuting attorney and held that position for two years. He was elected to the state senate on the Republican ticket in 1856 for a two-years' term, which proved to be a very important year in framing the laws of the state that still exist, our subject being a member of the judiciary committee. The code of 1851 was revised during the session of 1856-7, and with additions is still in use. On leaving the senate Judge Thompson was engaged in practice in Linn county until 1862 when he helped raise the Twentieth Iowa Regiment for the Civil war, consisting of five companies from Linn and five from Scott counties, and he went to the front as major, but the colonel, being a regular army officer, was detailed for brigade commander, and the lieutenant-colonel being taken prisoner, the Judge was left in command of the regiment for some time. He saw service in Missouri, Arkansas, Louisiana, Texas and Alabama, and was commander of the post at Aransas Pass, Texas, for eight months. He was in the siege of Vicksburg, and at the battle of Prairie Grove, Arkansas, was severely wounded. Believing that the war was about over, he resigned his commission and returned home in the fall of 1864. During the presidential campaign of that year he stumped the state for Abraham Lincoln, and was elected on of the electors at large. He takes a just pride in the fact that he was able to cast his ballot at that time for the martyr president. Soon after this Judge Thompson was elected district attorney for seven counties of Iowa, and after creditably filling that office for six years he was tendered the renomination without opposition, but refused it. Without his knowledge or solicitation he was then appointed chief justice of Idaho by President Hays, and held that responsible position for one term, resigning in 1879, when he returned to Marion. That fall he was elected to congress and took his seat in December. He was a member of the committees on privileges and elections, which required much work, having twenty-two contested cases. He was re-elected and served in all four years. For party reasons he was then persuaded to accept the nomination for representative to the state legislature, and being elected was chosen chairman of the committee to re-organize the courts of the state, which business he successfully accomplished. In August, 1894, he was appointed judge of the eighteenth judicial district, and was elected to that position in November, 1894, and re-elected in November, 1899. His district comprises Jones, Cedar and Linn counties. He has won high commendation by his fair and impartial administration of justice. His mind is analytical, logical and inductive. With a thorough and comprehensive knowledge of the fundamental principles of law he combines a familiarity with statutory law and a sober, clear judgment, which makes him not only a formidable adversary in legal combat, but has given him the distinction of being one of the ablest jurists of the state. On the 12th of June, 1856, Judge Thompson married Miss Harriet J. Parsons, a daughter of Chester and Phoebe (Preston) Parsons, who came to Marion from New England in 1850. Mrs. Thompson died February 27, 1897, leaving one son, John M., who was graduated from Coe College and Law School of the State University, and has since been admitted to practice in this state. The Judge has a beautiful home in Kenwood Park on seven acres of ground and supplied with all modern improvements. He is a director of the Savings Bank and a stockholder of the First National Bank of Marion. Socially he belongs to Robert Mitchell Post, G. A. R.; the Loyal Legion of Des Moines; Marion Lodge, No. 6, F. & A. M., also the chapter, council and commandery of the same order at Marion; and Osceola Lodge, I. O. O. F., of which he is past grand. Source: The Biographical Record of Linn County Iowa, Illustrated, Chicago: The S. J. Clarke Publishing Company, 1901, pages 16-20. A long life filled with useful efforts has won for this venerable resident of Cedar Rapids the respect and esteem of his fellow citizens and has gained for him a comfortable competence which enables him to spend his declining years in ease and quiet, free from the turmoil of business life. He was born in Ruskington, Lincolnshire, England, June 22, 1816, and is one of a family of fourteen children whose parents were Joseph T. and Ann (Sherwood) Tomlinson, life-long residents of that country. He has two brothers still living, one a resident of New Zealand, the other of England. The father was an extensive land owner and farmer. At an early age Mr. Tomlinson showed a strong inclination for mechanics, and availed himself for study along that line whenever he found opportunity. For seven years he served as an apprentice, learning the cabinetmaker’s trade, receiving nothing but his board. During that seven years, however, he attended the Mechanical Institute at Newark, Nottinghamshire, where he applied himself diligently to his studies. In 1840 he came to the United States, and on board the vessel coming over he met a gentleman living in New Milford, Connecticut, who induced him to locate there. On his arrival he became greatly interested in the construction of a new railroad bridge at that place, and as an observer he gave his opinion that a miscalculation had been made regarding resistance and weight. Being convinced of this he confided his opinion to Dr. Porter later of Yale College, and his theory proved correct as the bridge afterwards partially collapsed. Mr. Tomlinson’s first employment was upon the repairing of this bridge, and he was advised by Dr. Porter to turn his attention to mechanical engineering. He was employed as a rodman on the Housatonic Railroad extension, and also identified himself with various bridge builders that he might acquire a practical and thorough knowledge of the business, and during his spare time he was designing and drafting bridges. Before coming to Iowa he built the bridge on the Whitehall & Rutland Railroad and the Harlem Railroad extension, and after his removal returned and on contract finished the Whitehall tunnel, after it had practically been abandoned. In 1843 Mr. Tomlinson married Miss Ann R. Northrop, of New Milford, Connecticut, and about ten years later he removed to a farm which he had purchased near Iowa City, Iowa, on account of his wife’s ill health, but she died the same year. Previous to this time he had extensively purchased land warrants, and owned considerable property at one time in Linn county. After his wife’s death he removed to Brooklyn, New York, and while there met and, September 10, 1853, married Miss Sarah A. Wyles, also a native of Lincolnshire, England, who had come to Brooklyn in 1851, and a daughter of William Wyles. By his first marriage Mr. Tomlinson had three daughter: Mrs. Ida Pritchard, now deceased; and Ione, wife of Venable Smith, of Port Angeles, Washington, and Maria, who died in childhood. There are five children by the second union, namely: Anna, wife of R.N. Slater, of Ottawa, Canada; Joseph, who married Jean Russell and is now engaged in farming near Cedar Rapids, Iowa; Alfred Thomas, who married Fannie Smith, and is a construction engineer residing in Boston, Massachusetts; Fanny, who died at the age of five years; and Frances Ethel, at home. For a time Mr. Tomlinson was in the employ of the New Brunswick government on the construction of bridges, but in 1862 he came to Cedar Rapids, and engaged in farming for a short time in this county. He then went to Cleveland, Ohio, and became connected with the Lake Shore & Michigan Southern Railroad, and also designed the Market House at that place. He was also construction engineer on the large bridge across the Missouri river at Kansas City. Considerable difficulty had been encountered there and the engineer had met with defeat, but Mr. Tomlinson was successful in getting a foundation and also built the super-structure. He next accepted a position that had been offered him by the Canadian government to take charge engineer of the Marine Department designing light houses, piers, etc., from the Atlantic to the Pacific, and after serving in that capacity for eight years was transferred to the railroad department during the construction of the Canadian Pacific Railroad as a designer of bridges and buildings. He was sent to England to superintend the manufacture of the cantilever bridge across the Frazer river and had the honor of being entrusted and paid by both the government and contractors for so doing and afterwards superintended the erection of the bridge. This was the last work done by Mr. Tomlinson. In 1883 he severed his connection with the Canadian government and returned to Cedar Rapids, where he has since lived a retired life, his home being at 216 North Thirteenth street. He has made for himself an honorable record in business, and by his well-directed efforts has acquired a comfortable competence. Politically he is a supporter of the Republican party, and socially is identified with the Masonic fraternity, while religiously both he and his wife are Episcopalians and are held in high regard by all who know them. Source: The Biographical Record of Linn County Iowa, Illustrated, Chicago: The S. J. Clarke Publishing Company, 1901, pages 170-174. GOn the 4th of March, 1848, Dr. J. W. Traer, then a young man of 23 years, came to our town to begin the practice of medicine. He studied for sometime previous to coming here with Dr. Henry Meredith, in Rochester, Cedar county, of this state. He was born in Knox county, Ohio, Sept. 7, 1825, and came to Iowa in 1845. The doctor boarded in my mother’s family for some months after he came here, our home at that time being in the John Young house below Fourth avenue, on the river bank. We found him to be a man of intelligence and integrity of character, and he has always held a high place in the estimation of those who were associated with him in the days of long ago. On November 4, 1849, he was united in marriage to Miss Marcia W. Ferguson, daughter of Mr. James Ferguson, of whom mention is elsewhere made. He moved to Vinton, Benton county, of this state, Sept. 9, 1851, where he and his estimable wife still reside. He continued to practice medicine for four years after he went to Vinton, when he turned his attention to other branches of business. For some time he was engaged in banking and real estate, and was also postmaster for several years. He has always enjoyed the respect and confidence of his fellow-citizens. He and his wife are members of the Presbyterian church. Eight children were born to them, of whom six are still living, William, residing in Burlington; Florence E. Perine, in Vinton; George E., in Colorado; Glen Wood, in Chicago; James F., in Vinton, and Amos C., in LaSalle county, Illinois. Jessie F. died in October, 1886, and Mary L. Ramage died a short time ago in this city. Source: Carroll, George R., Pioneer Life In and Around Cedar Rapids, Iowa From 1839 to 1849. Cedar Rapids, Times Printing and Binding House. 1895. Pages 136-7. This well-known citizen of Marion, Iowa, is the possessor of a handsome property at the corner of Tenth street and Eleventh avenue, and is enabled to spend his declining years in the pleasurable enjoyment of his accumulations. The record of his life, previous to 1889, is that of an active, enterprising, methodical and sagacious business man, who bent his energies to the honorable acquirement of a comfortable competence for himself and family. Mr. 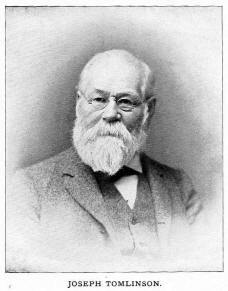 Treat was born near Brockport, New York, December 17, 1831, a son of Oliver J. and Mary A. (Green) Treat, also natives of that state. His paternal grandfather, Charles Treat, was a Connecticut Yankee, who during the Revolutionary war enlisted as a drummer boy in 1775, and during his long service of over seven years rose to the rank of major, being mustered out as such in 1782. He was on duty at Tappan, New York, October 2, 1780, when Major Andre was hung as a spy at that place, but did not see the execution. He was married, May 1, 1788, in Wethersfield, Connecticut, to Hopeful Robbins, and in 1820 removed to Monroe county, New York, where in the midst of the wild unbroken forest he developed a farm. He died in that county in 1841, when nearly ninety years of age. In his family were eight children. Oliver J. Treat, the father of our subject, spent his life as a farmer in New York. He was born in 1809 and died in 1893, while his wife was born in 1812 and died in 1859. Both were earnest and consistent members of the Freewill Baptist church. Our subject is the oldest in a family of twelve children, while the others now living are James B., who served three years during the Civil war as a member of Company F, Eighth New York Cavalry, and is now a farmer of Missouri; George, a farmer of western New York; and Emma J., wife of Andrew Gonzales, a ranchman of Arizona. Those deceased were Jerome W., a farmer, who died at about the age of fifty years; Milton, who died in Portland, Michigan, at the age of thirty; Amanda, who married David Shreves and died in Brooklyn, Ohio, at the age of twenty-four; Rosina, who married Edwin Sowers and died at the age of forty; Adaline, who married Edwin Whitcomb and died at the age of thirty; Rachel, who married George Gott and died at the age of thirty-seven years; and one who died in infancy unnamed. Mr. Treat, of this review, spent the first eighteen years of his life on the home farm, assisting in the labors of the fields during the summer season, while through the winter months he attended school. When his school days were over he served an apprenticeship to the carpenter's trade, which he followed for over ten years. About 1852 he went to Cleveland, Oho, and later to Michigan City, Indiana, working at his trade on round and freight houses for the New Albany & Salem Railroad. In June, 1854, he went to Bureau county, Illinois, as foreman of a gang of workmen building bridges for the Chicago, Burlington & Quincy Railroad, with headquarters at Princeton. In October, 1854, Mr. Treat came to Marion, Iowa, and took up one hundred and sixty acres of government land in Spring Grove township, Linn county, after which he returned to Princeton. He worked for the same railroad company at Burlington in 1855, and in the spring of 1856 returned to Marion, where he engaged in contracting and building until the spring of 1861, when he removed to his farm two miles east of town. He followed agricultural pursuits with marked success for twenty-eight years, and in 1889 returned to Marion, where he has since practically lived a retired life. Since 1890 he has been president of the Greeley State Bank, of Greeley, Nebraska, of which he owns most of the stock, and is also one of the charter members and directors of the Farmers & Merchants State Bank of Marion, while from its organization he has been chairman of the finance committee, consisting of three persons. On the 17th of February, 1856, Mr. Treat was united in marriage with Miss Christine Wiltse, of Orleans county, New York, a daughter of Andrew S. Wiltse. She died in 1858, at the age of twenty-six years, and for his second wife Mr. Treat married Mrs. Delia J. (Lathrop) Basset, a native of Ripley county, Indiana, and a daughter of the late Augustus Lathrop. By this union was born one child, Mary Augusta, who married Edwin J. Esgate, of Marion, and has three children, Arthur T., Edith M. and Helen. Mr. Esgate is the cashier of the Farmers and Merchants State Bank, which position he has held since its organization. Mr. Treat was one of the organizers of the Republican party in Linn county, of which he is still a stanch supporter, and he takes commendable interest in political affairs. He served as township trustee ten consecutive years; county supervisor nine consecutive years; and school director and president of the township board for many years. He also served as justice of the peace one term and refused to become a candidate for re-election. His official duties have always been most faithfully and satisfactorily performed, and he is recognized as one of the most valued and useful citizens of his community. He has been an ardent supporter of those enterprises whose object is to advance the welfare of his town and county, or for the betterment of the people. He is a member of the Iowa Legion of Honor, and his wife holds membership in the Baptist church. Source: The Biographical Record of Linn County Iowa, Illustrated, Chicago: The S. J. Clarke Publishing Company, 1901, pages 26-30.